Here are the books that I am really looking forward to reading. Twelve year old Eric Scott is called by Stig, a talking owl, to journey to another world to save a fishing village from a band of bloodthirsty pirates. Once there, Eric discovers that delivering the town is but one of the problems he'll have to solve. 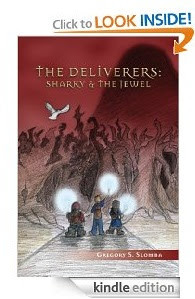 Can a 12 year old boy, a talking owl, a headstrong girl and an outcast dwarf save a village, much less an entire world? Find out as they set out on the journey of a lifetime to defeat an immortal pirate, face their fears, and fulfill an ancient prophecy. "I'm in trouble, Liz. I've uncovered something.…They're watching.…"
How about you? Do you like this list? What's on your list? Let me know. I love finding new book to read, your blog looks great! New follower from blogaholic, I look forward to your future reviews! 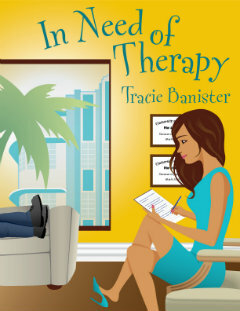 I like the look of "In Need Of Therapy!..the cover is inviting! 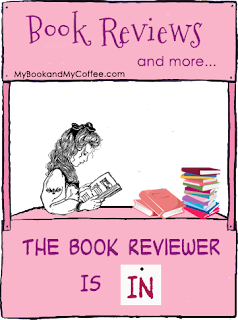 :) Glad to meet another fellow caffeine addict and book lover! I love your website design! Very cool! I love anything that refers to Coffee being an addict myself! Aww. Thanks! Same here.. A coffee addict. Nice to know I'm not alone :D LOL ..
Hey hope your week is going well.. I nominated you for the VB award…if you have already received it then I nominate you again? Hi Alisa! Oh, my week has been ... crazy! :D Haha. Oh, thanks so much for the nomination. LOL, yes, I did receive some before but I really appreciate every nomination. I will publish my VB award post this week. Thanks so much for thinking of me and my blog. The Deliverer's sounds like a lot of fun Ira! Hope you enjoy it along with your other books. Great TBR list! 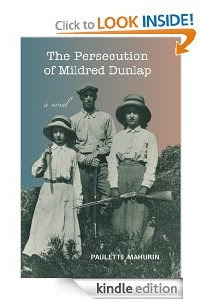 I'll be looking forward to your review of The Persecution of Mildred Dunlap -- it sounds like an interesting read. Hi Nickie ;) Thank you. I'm really curious about that one as well. I'm currently reading Fury's Fire by Lisa Papademetriou, and that seems like a pretty good read :) Great TBR list! The first book looks real interesting. Have you read it yet? How was it? I may pick it up! Hi Sharmin. Yes, it looks really interesting ;) I haven't read it yet. Still has to finish two books before reading that. Can't wait!